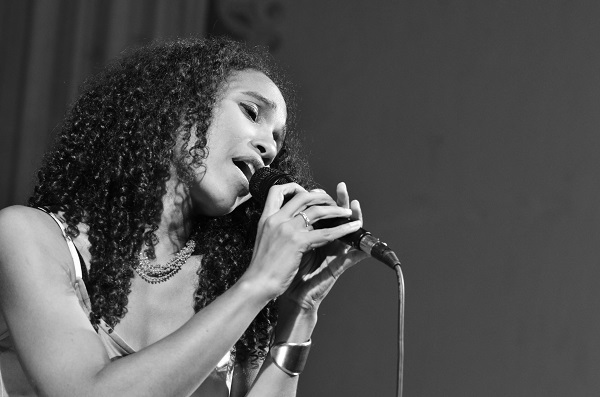 Aimée Allen is a velvet-voiced modern jazz vocalist who displays warmth, creativity, and swing. Her unique compositions have consistently been thought-provoking, expressing insights that are both contemporary and timeless. Aimée Allen’s latest release, the critically acclaimed Wings Uncaged, is a musical statement of transcendence in all its facets. With a set of jazz standards and striking originals featuring winged creatures in the natural world, the project provides metaphors for surviving peril in creative ways. Wings Uncaged has been named one of Downbeat Magazine's Best of 2018.